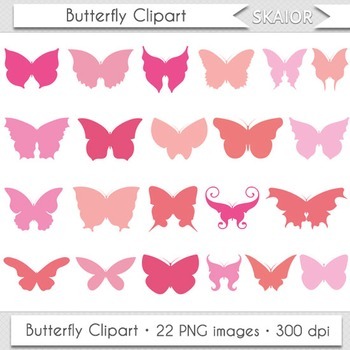 22 butterfly cliparts in PNG format. Each butterfly is approx 8" wide. High-resolution 300 dpi.